When I first decided to start a podcast, I’ll admit I was nervous. Not only about what people would think, but also at the thought of producing content for an entirely new (to me) medium. I spent countless hours researching microphones, software, soundproofing, and anything to do with podcasting from home. There's an overwhelming amount of options, information, and opinions about podcasting from home, yet I couldn't find a concise, opinionated post that recommended a complete setup for a serious enthusiast recording from home. That’s why in this post I'll go through my setup and explain how I record and publish podcasts from my home office. Here’s a “tl;dr” list of the equipment and services I use, but keep reading for more detailed information. Cast for recording, editing, and publishing. Listen to “The Realmac Show” to hear how my setup sounds. The first thing you'll need is a microphone! I recommend the Rode Podcaster; it's a good value, very high quality dynamic microphone that just plugs into a standard USB slot on your Mac (or via a USB-USB-C adapter if you’re on a fancy new machine). I wanted a USB mic so I wouldn't have to worry about learning to set up any additional sound recording equipment. Just plug it in, ensure the Rode Podcaster is the input device, and you're ready to record. Anyway, “dynamic” is the keyword here; you’ll want to get a dynamic rather than a condenser microphone. If you don't know the difference between dynamic and condenser microphones, and I certainly didn't, then essentially a dynamic mic will be the better choice as it won't pick up as much background noise. You should read up about when and why you should choose a dynamic or condenser microphone and decide for yourself, but as I say, I'd recommend getting a dynamic microphone if you're recording from home. Just make sure you read plenty of reviews before placing an order. You’ll also need a stand, or boom arm, for that microphone. I got the “RODE PSA1 Swivel Mount Studio Microphone Boom Arm” and ”RODE SM6 Shock Mount”. These are a no-brainer if you purchase the Rode Podcaster microphone. Side note: you can pick up the microphone, boom arm, and shock mount as a starter bundle on Amazon. The boom arm has surprisingly good reach, making it's easy to clamp to the back of my desk and move it out the way when I’m not recording. Just use the included clamp to attach it to your desk. The shock mount is a must buy, no matter which boom arm or stand you get because it reduces the amount vibrations picked up by the mic. Some people suggest you don't need one, but in my experience, a shock mount has helped with accidental impacts to the microphone and vibrations through the desk when typing. Have a read of “Do I Really Need a Shock Mount” for more information. I record all of my podcasts from my home office, and there are a few key points to consider before you do this, such as soundproofing and, if you have a co-host or guests, how to record everyone. Record in the smallest room/corner you can; a lot of podcasters record from inside wardrobes — I did consider this at one point; however, it's not very practical for the type of podcasts I produce. Fill the surrounding area with as much soft furnishings as possible; pillows, blankets, rugs, duvets, etc. to reduce echo. Minimise the number of reflective surfaces around you — that 32" glass monitor isn't doing you any favours. I ended up getting a blind installed over the window next to my desk, which I pull down whenever recording to reduce the amount of echo/reverb coming from the glass. If you’ve got multiple people on your show, then you should record each person separately, or on a “separate track” as they say. Doing this will ensure you get high-quality audio for everyone and can edit out any swearing, mistakes, people talking over one another, and background noises (own up, who forgot to turn their phone off?). When I started podcasting, the best solution was for everyone to record their audio locally using Quicktime. I'd then use Garageband to put all the separate tracks together — we did this, rather than recording the audio from Skype, to ensure everyone had good quality audio. If you record the audio from Skype, yes it’ll be a lot quicker and more straightforward, but you're going to get a heavily compressed, noisy track; or in other words, a crappy sounding podcast. Until recently I would have recommended doing things this way. However, I now use Cast, a one-stop shop for recording, editing, publishing, and hosting podcasts. I can't recommend the service highly enough; it’s already saved me countless hours. Everything is done in the browser, all you have to do is create a new episode and give your co-host/guests the “Shared URL”. There's no software to install, and only the podcast owner requires a Cast account. When everyone is online and ready to go, hit record and you're off. Cast records everyone on a separate track so you can get high-quality audio and can edit the show as described above. Have a read of the Cast help docs as it has a more in-depth explanation of how the service works. Before you can submit your show to iTunes, you need to generate an XML feed that contains details about your podcast (such as the title, description, and artwork) and links to each episode. Again, all of this is managed in Cast; you just need to create a "Feed", enter your show details and then publish each newly created episode to that feed. Once you've published the first episode to the feed, copy the “RSS URL” link and head over to Apple’s Podcasts Connect and submit a new podcast. Apple will then review your podcast, and all being well, approve it for listing within a couple of days. 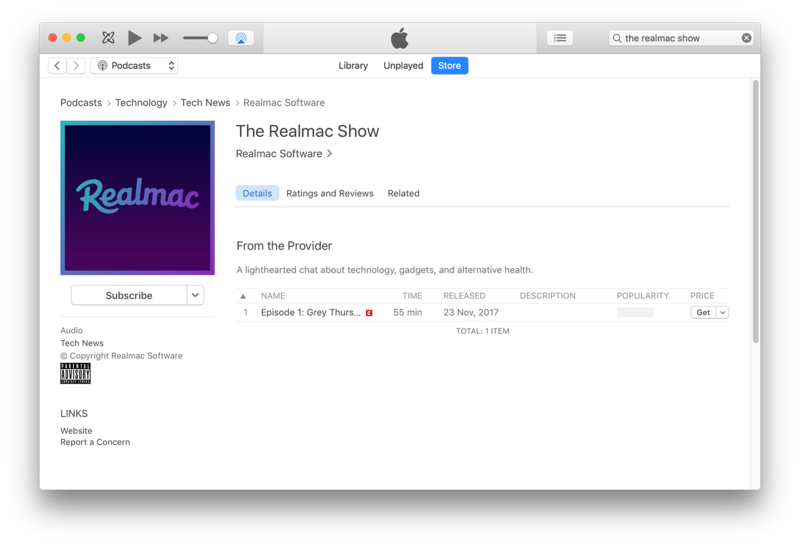 When I submitted “The Realmac Show” it was approved within a couple of hours. Side note: Yes, you need to have a least one episode recorded and live in your feed before you can submit it to iTunes. You'll get rejected if you don’t have at least one. And that’s about it — all you need to do is keep recording and publishing episodes. Each time you publish a new episode, it'll show up in your subscriber's podcasts feed. 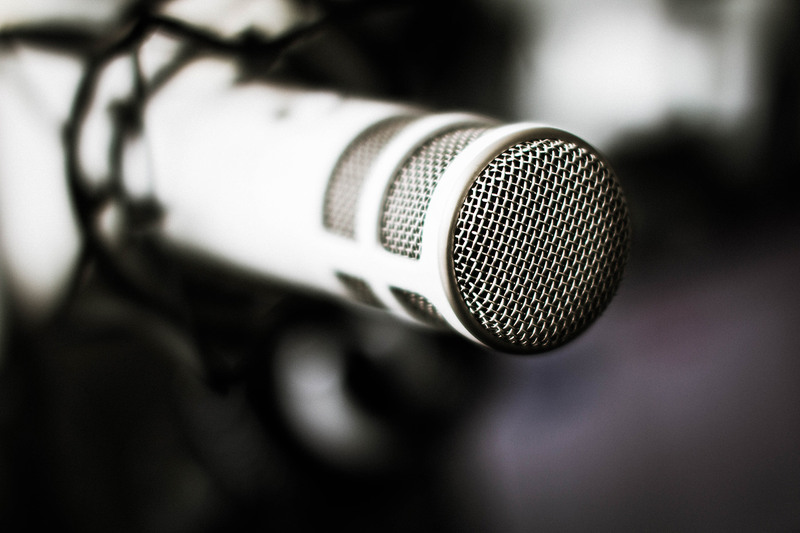 There's certainly a lot more to making a successful podcast, but hopefully, these tips will help you to get a decent sounding podcast online without breaking the bank. If you want to know how this setup sounds on a real podcast, then Dan and I have just released The Realmac Show, a new podcast about Realmac, technology, and alternative health.